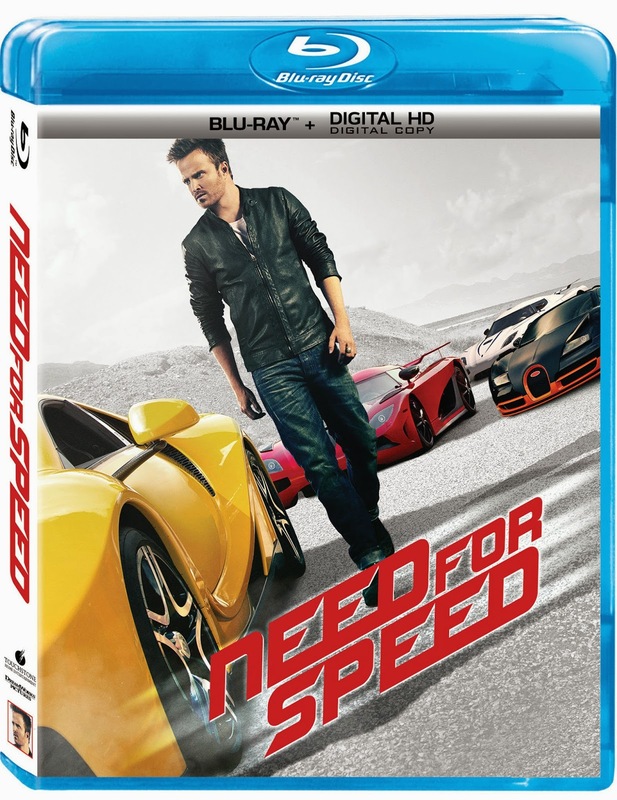 Based on the most successful racing video game franchise ever with over 140 million copies sold, DreamWorks Pictures’ Need for Speed captures the thrills of the game in a real-world setting. An exciting return to the great car-culture films of the 1960s and ‘70s, when authenticity brought a new level of intensity to the action, Need for Speed taps into what makes the American myth of the open road so enticing. Filmed in DETROIT, my husband was able to watch several action scenes as they created this awesome new movie! Not only are we a gamer family and a fan of when the games come to life in movies but we support the good ole' city of Detroit!! This is a film I know I don't want to miss coming to Blu-ray™ Combo Pack, Digital HD, DVD and On-Demand August 5, 2014! The Synopsis says, "The story chronicles a near-impossible cross-country race against time — one that begins as a mission for revenge, but proves to be one of redemption. In a last attempt to save his struggling garage, blue-collar mechanic Tobey Marshall (Aaron Paul) — who with his team skillfully builds and races muscle cars on the side — reluctantly partners with wealthy, arrogant ex-NASCAR driver Dino Brewster (Dominic Cooper). Just as a major sale to a car broker Julia Bonet (Imogen Poot) looks like it will save the business, a disastrous, unsanctioned race results in Dino framing Tobey for manslaughter. Two years later and fresh out of prison, Tobey is set on revenge with plans to take down Dino in the high-stakes De Leon race — the Super Bowl of underground racing. To get there in time, Tobey must run a high-octane, action-packed gauntlet, dodging cops coast-to-coast and dealing with fallout from a dangerous bounty Dino put on his car. With his loyal crew and the surprisingly resourceful Julia as allies, Tobey defies odds at every turn and proves that even in the flashy world of exotic supercars, the underdog can still finish first."